River otters – the most aquatic and social members of the weasel family – are a joy to watch as they slide down slopes or cavort in the water. Learn more about these creatures on Wednesday, October 9 at 7 p.m., when the Athol Bird and Nature Club presents “River Otters: Their Lives & Significance.” Free and open to the public, the meeting will be held at the Millers River Environmental Center, 100 Main St., Athol. The presenter will be Elizabeth Baldwin, assistant director of BiodiversityWorks, a new non-profit on Martha’s Vineyard. For the last seven years Baldwin has focused mostly on shorebird conservation. Through BiodiversityWorks and her master’s thesis, however, she is also collecting baseline information about the otter population on the Vineyard. That thesis, under work at Antioch University New England, studies the activity patterns of river otters in a northeast coastal environment, information that will improve understanding of how this species interacts with its environment and provides an indicator of watershed and ecosystem health. 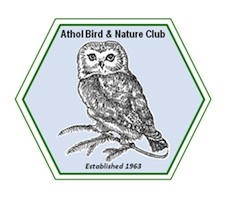 The Athol Bird and Nature Club is an active group of people sharing an appreciation of nature’s many forms. The club manages the Millers River Environmental Center and maintains a natural history collection there, holds meetings featuring members or outside speakers, offers field trips all over southern New England, hosts intensive workshops and institutes on specific natural history topics, and organizes regional biological inventories, including biodiversity surveys, bird counts, and butterfly and dragonfly records.More information about the ABNC is available at www.atholbirdclub.org. New members are welcome. This entry was posted in News and tagged Elizabeth Baldwin, Millers River Environmental Center, Nature Club, River Otters. Bookmark the permalink.